Once again, I will tell this blog in a series of pictures. 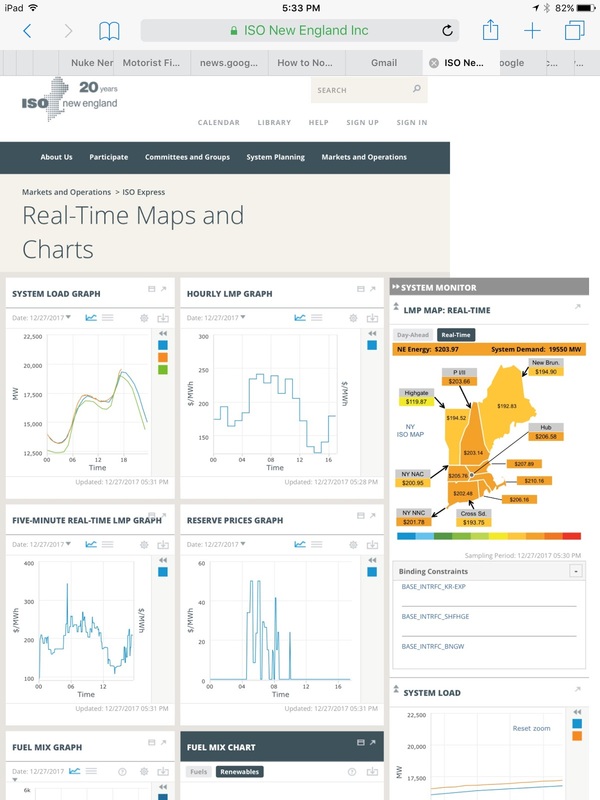 In my blog of December 27, I showed a snapshot of the New England grid in the early evening. 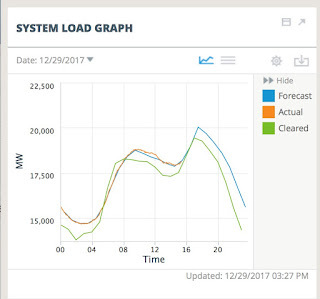 The temperature at my location was 7 degrees, the local marginal prices (LMP) on the grid were running around $200 MWh (20 cents per kWh), oil was 22% of the fuel mix, renewables were 11% of the fuel mix (I remarked that this was on the high side for renewables) and the high renewable percentage was due to the wind energy. Wind was 50% of the renewables. The blog post was Successful encouragement of oil on the New England Grid. The source of all the information (except the local weather) was the ISO-NE web page, ISOExpress. Today, around 1 pm, the temperature was 1 degree, as show below. The weather had gotten colder. Though I must admit that as I write this at 3 p.m, the price has fallen again to around $200/ MWh. Also, note the color codes on the map. The colors show the prices graphically. Closer to red is higher priced. Oil use has stayed high, from December 28 evening (above) to one pm December 29, (when I took a bunch of screen shots) to right now at 3 pm. Oil has been between 30 and 32% of the grid. Today, at one pm, not so much wind. It was actually snowing rather gently. At that time, renewables were only 7% of the grid power, and wind was only 13% of renewables. 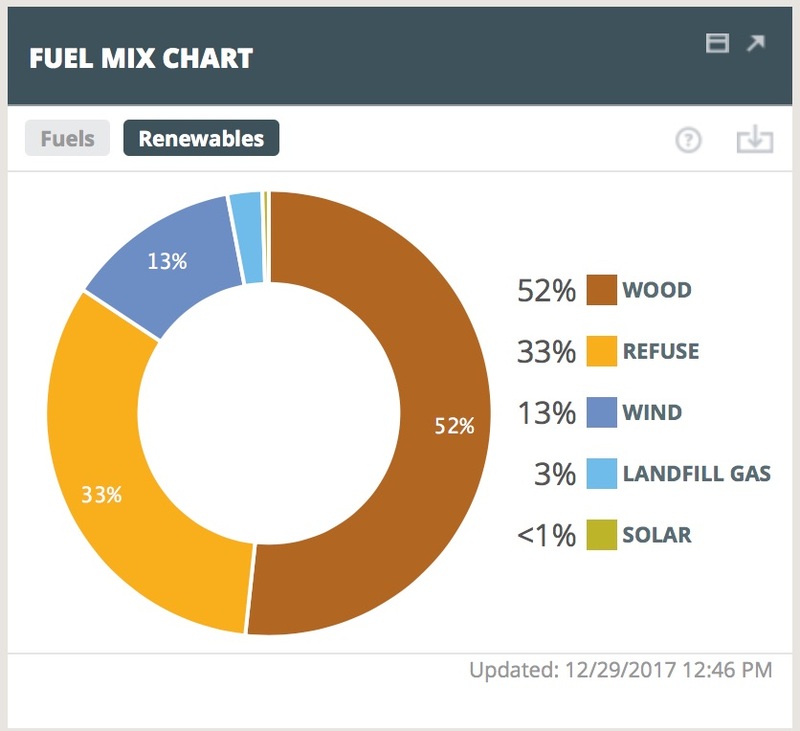 Renewable mix on the grid. Wind at 13%. I think oil use will remain high until the cold weather is over, about a week from now. The wind may spring up again in the evenings, or it may not. Whichever it chooses. Nobody controls the wind. So renewables may continue at 7% or go up to 11% again. On the other hand, we haven't really hit peak demand yet. Here's a screen shot that I just took. This is the ISO-NE estimate of system loads today, and the actual loads up until 3 p.m.
As you can tell in this chart, around 18 hours (6pm) looks like peak demand. Check in and see if the percentage of oil goes up even further. I'm going to check. I'm curious. Meanwhile, I will check back at about the grid at 6 p.m. but I won't be posting. I leave the evening results as "an exercise to the reader." Successful encouragement of oil on the New England Grid. I decided to tell this blog as a series of pictures. 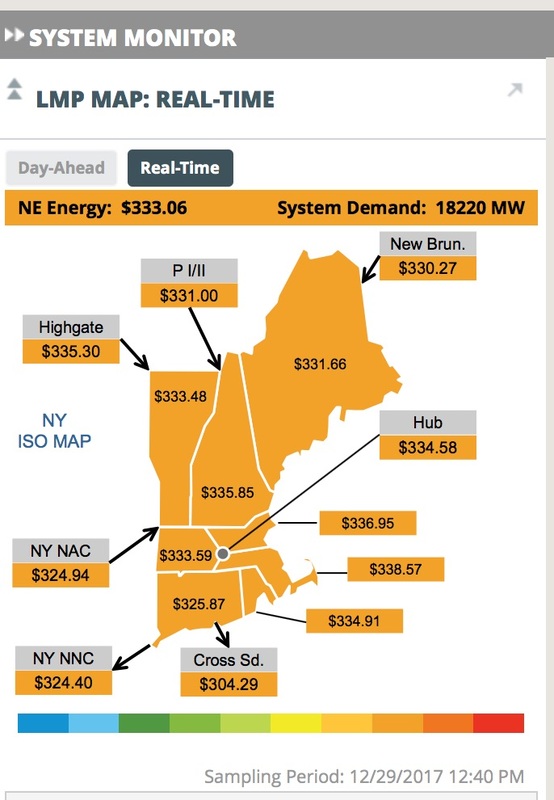 As you can see by the retrospective graphs to the left of the map, prices have been up and down between $100 and $250 (10 cents and 25 cents per kWh) most of the day. During cold snaps, gas pipelines must supply homes first, and gas-fired power plants get short-changed. ISO-NE has a Winter Reliability Program which mainly compensates gas-fired power plants for keeping fuel on site: oil or LNG or CNG. (Liquefied or compressed natural gas.) The grid was running about 22% oil at 5:30 this evening. The current Winter Reliability program is described in an update presentation, given December 7, 2017 by Anne George of ISO-NE. On page 5, Ms. George describes the current winter reliability program, which pays oil and gas fired generators to have fuel on site. 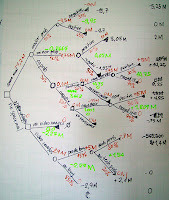 (Page numbers are at the lower right of each viewgraph.) On page 18, she describes how the forward capacity auctions are attracting new generation, even as older plants retire. Specifically, ISO-NE is attracting new dual-fired natural gas resources: gas turbines that can also burn oil, and therefore can store oil on-site for cold weather. 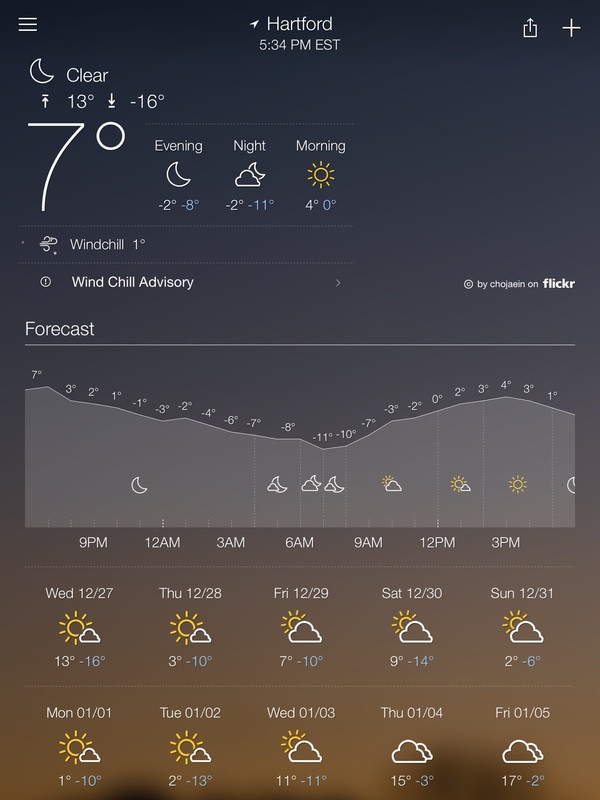 ISO-NE's attempt to provide winter electricity by encouraging oil use in cold weather is working. The next picture shows (among other things) the fuel mix at 5:30 on the New England Grid. 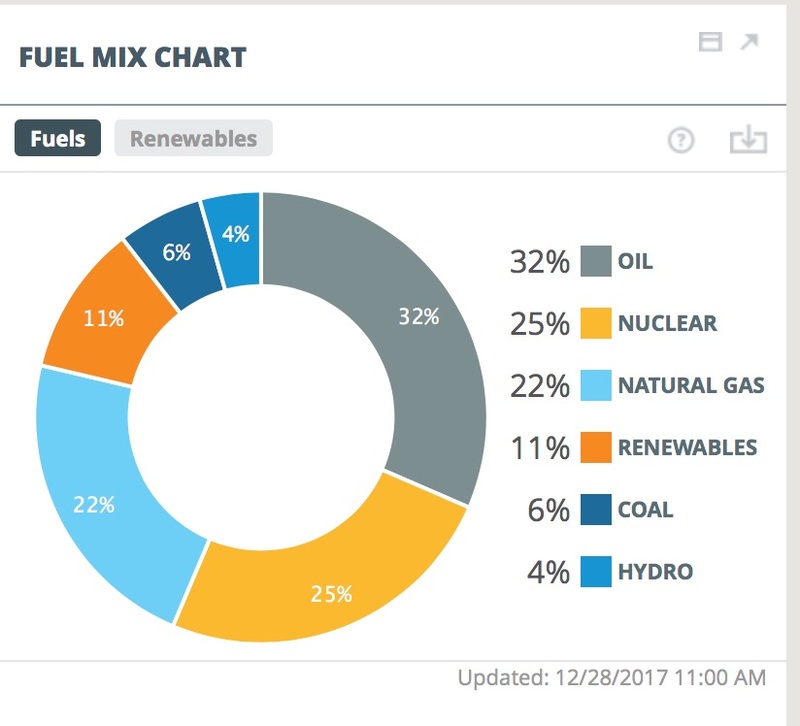 You can see that 25% of the electricity was supplied by nuclear, 24% by natural gas, 22% by oil, and 11% by renewables. 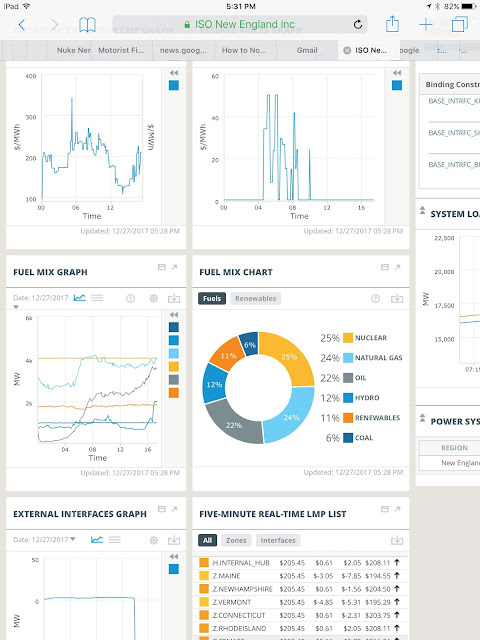 Usually, the grid runs closer to 50% natural gas and just a few percent oil. If you go to viewgraph 19 of the ISO-NE presentation, you can see that natural gas is expected to be 55% of normal generation, and oil is the merest sliver on the graph. In the chart above, renewables are making 11% of the power on the grid. This is on the high side. (Viewgraph 19 of the ISO presentation shows renewables making 5%, for example.) The high contribution of renewables is due to the wind. 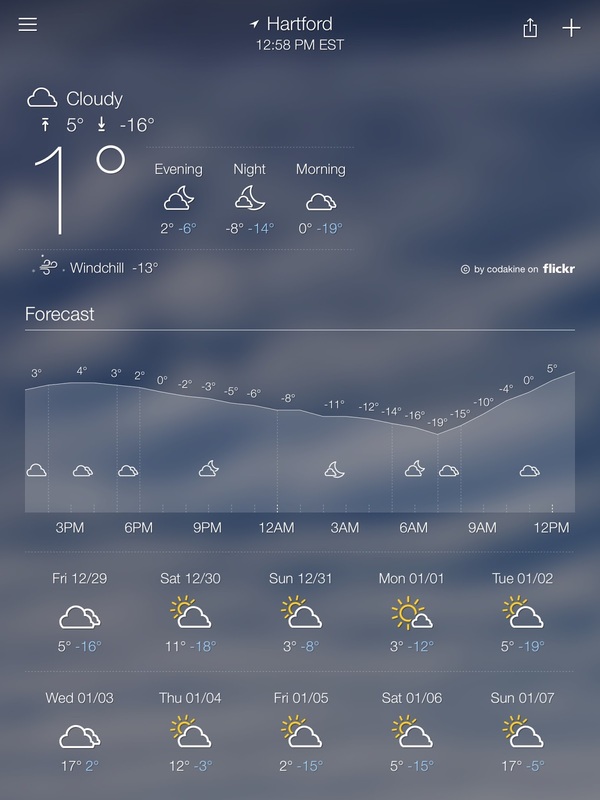 In my experience of New England, really cold weather is often deathly still. Not this time. The wind is blowing, the windchill factor is serious, and the wind turbines are making considerable amounts of energy. Wind turbines are making 50% of the renewable power on the grid, as you can see in the chart below. Basically, the other 50% of the renewable power is being made by burning wood and refuse. That power is pretty steady: the wind contribution goes up and down. 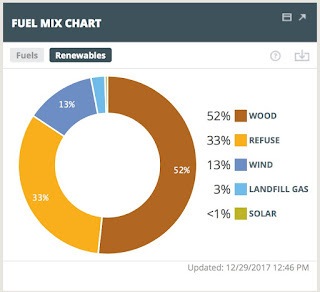 Since wind is making half the renewable power on the grid, and renewables are making 11% of the power on the grid, therefore, the wind turbines are making 5.5% of the power on the grid. The chart below shows the percentage of renewables on the grid at 5:30 p.m. I am pleased that it is both cold and windy. (Actually, I am not that pleased about it. I have to live here, after all.) I also know ISO must be fuel-neutral, so dual-fuel gas-fired generators are considered good. However, I can't help but think that using more oil in the winter is a step back for New England, not a step forward. If you want, you can go to the ISO site, and watch the grid. Or if you don't live in New England, look up your own grid, and do a compare-and-contrast. I would love it if you would comment on this article. 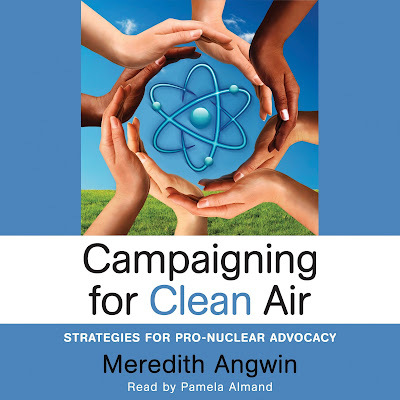 Audiobook Now Available for "Campaigning for Clean Air"
Audiobook of Campaigning for Clean Air is now available! 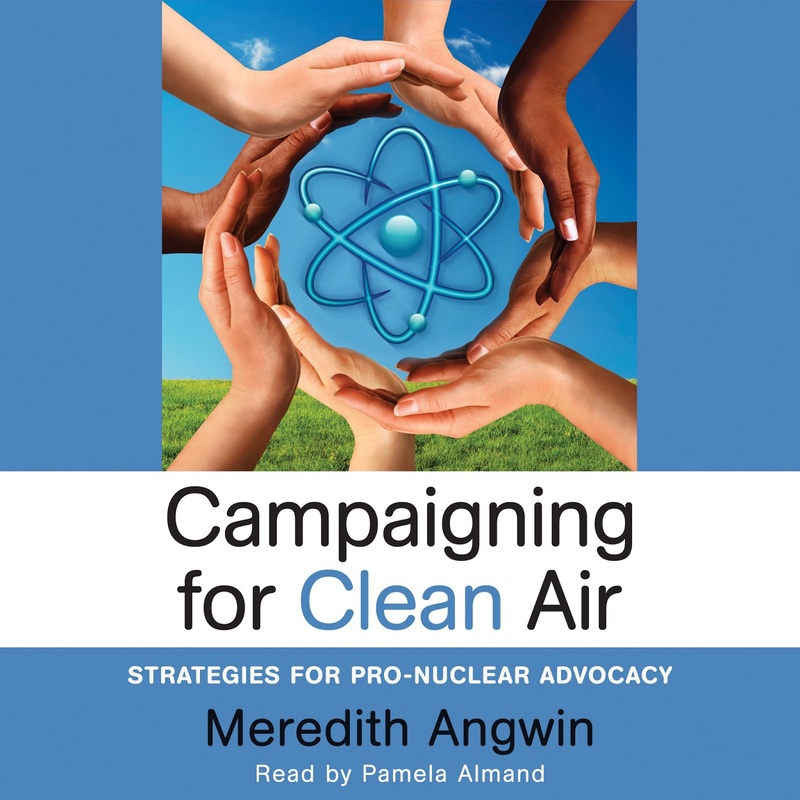 I am so pleased to announce that the audiobook version of Campaigning for Clean Air is now available at Amazon. You can buy it or you can rent it (so to speak) through Audible. You can give it as a gift through Audible. It should be available at other vendors also, but I haven't checked them out yet. I was so happy that Pamela Almand agreed to read this book. She is a former pilot for Northwest Airlines: she flew 747s, often to Japan. People told her that her voice was reassuring to the passengers. Her voice is smooth, low-pitched and easy to understand. I listened to quite a few examples before I decided that I wanted Almand to read my book. She has the right voice quality and a strong technical background. But I wondered if she would narrate my book. My book can be seen as controversial: not everyone wants to narrate something about nuclear power. Almand has many projects from which to choose. 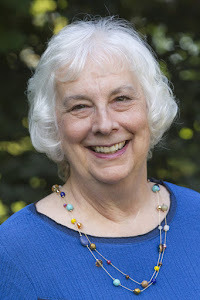 To my relief, Almand liked Campaigning for Clean Air, and she narrated it! You will really enjoy Almand's narration of Campaigning for Clean Air. Like all audiobooks (and podcasts, etc.) you can "read it" in periods of time that might otherwise be wasted. This is because you will be listening to it, not reading it. I am happy that it is available, and I hope you enjoy it! In deciding on issues about Vermont Yankee decommissioning, I hope that the state of Vermont will not be overly influenced by the agendas of anti-nuclear groups. I hope so, but I worry. For example, the Keene Sentinel wrote a recent editorial urging people to be reasonable about getting Vermont Yankee decommissioned. Among other things, the Sentinel encourages the state to not require a "residential quality" cleanup of the site. However, the title of the editorial perturbed me: Hostage negotiations: State regulators need to be strict but reasonable, in VY decommissioning fight. Decommissioning "fight"? "Hostage negotiations"? Really? The editorial itself includes more "hostage" terminology. "At the same time, it’s been disappointing to see how quick NorthStar has been to try to hold the state hostage over the issue. The company certainly has the right to negotiate for the best deal it can get, within safety standards. But NorthStar CEO Scott State has reportedly said he’ll pull out of the deal if the firm doesn’t get its way on the “residential quality” issue —"
At some deep level, the state realizes that it doesn't have much of a BATNA, and this makes it angry. Now I have to back up and explain what I am talking about. I'll start with the "fight," and on to the BATNAs. Entergy wants to sell Vermont Yankee to a consortium of businesses headed by NorthStar. These companies have expertise in decommissioning, and plan to decommission Vermont Yankee in ten years or so, which would be better for most people than the Entergy plan of letting the plant be in SAFSTOR for sixty years. However, Entergy and NorthStar need a Certificate of Public Good from the state in order for Entergy to sell the plant to NorthStar. And the state considers this request to be a "fight." In general, the state usually wants two things when Entergy needs a certificate of public good. 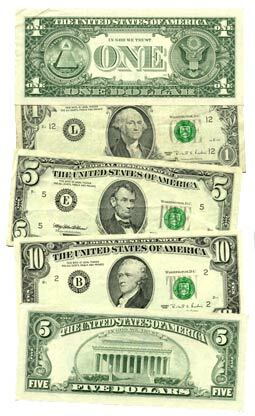 Money and power, or rather, money and control. Money: In return for a Certificate of Public Good (CPG), the state usually wants to get some money for projects that the state wants to do. This is standard in Vermont, and perhaps elsewhere. I consider this sort of request to be a "tribute" payment, and I wrote about this in a post in ANS Nuclear Cafe in 2013: Millions for education. but not one cent for tribute. For example, in the past, Vermont has granted Entergy a CPG after Entergy promised to give money to a fund to help clean up Lake Champlain. You must understand that Lake Champlain is in the northwest portion of Vermont, and Vermont Yankee is in the southeast corner. They are in different watersheds, too. Entergy funded part of the Lake Champlain cleanup, because the state "asked it" to do so, not because Entergy operations had affected Lake Champlain. Nowadays, however, Vermont Yankee is shut down. The plant has only one source of money: the decommissioning fund. The NRC will not allow Entergy to use that fund for random projects, such as cleaning up Lake Champlain. Therefore, the state's ability to get money is limited. According to whose rules does the clean-up proceed? Clean-up the site to "residential standards" or industrial standards? 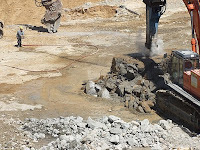 How deep does NorthStar need to excavate the site? Can NorthStar rubbilize the existing buildings on site and use them for fill, or must NorthStar haul the building rubble away and buy other rubble for fill? Will NorthStar get the site ready for another industry that can provide jobs, or should the area be untouched and fallow, to allow the "earth to heal" for two hundred years? The State may take a more or less extreme position on these matters, but there wouldn't be a "fight" if the State were just trying to work out a safe, effective site restoration. So, now we have the state in one corner, and Entergy/NorthStar in the other corner. We understand the fight. But what are those BATNAs? The BATNA concept was introduced in the groundbreaking book on negotiations: Getting to Yes. Most managers are aware of the concept. A BATNA is the "Best Alternative to Negotiated Agreement" and the negotiator with the strongest BATNA usually "wins" the negotiation. The negotiator with the strongest BATNA gets a result closer to what he wanted, while the negotiator with the weaker BATNA obtains fewer of his goals. So what are the BATNAs here? What are the state's "alternatives?" What are NorthStar's "alternatives?" It would seem that the state and NorthStar have each other over a barrel. If the state doesn't give NorthStar a certificate of public good for the sale, NorthStar can't do the project. 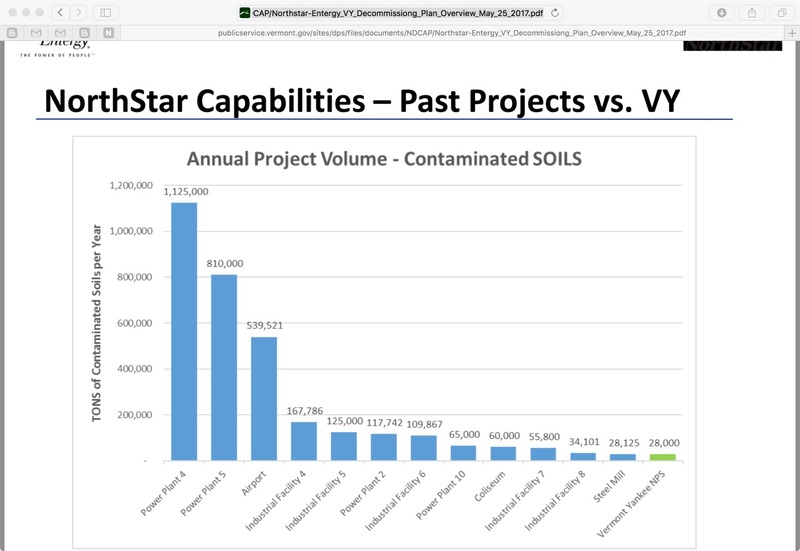 If NorthStar considers the state requirements to be too onerous, it can walk away from the project, and the state will be left with a plant that will most probably be in SAFSTOR for decades. Assuming that both parties want a successful project, which one has the better BATNA? Well, NorthStar does. NorthStar has the better BATNA. This job would be good for NorthStar, but if the state requirements would cause the company to lose money on the job, it can walk away and bid on a different project instead. There are plenty of fish in the sea, and plenty of cleanup projects on land. Tens of other possible projects are NorthStar's BATNA. Meanwhile, the state has only this one power plant, which it wants to see decommissioned promptly. 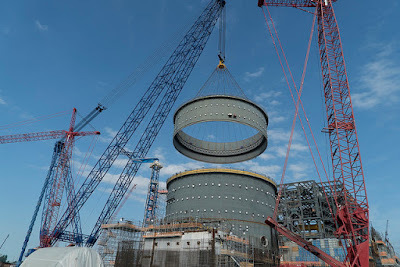 If the state (or Entergy) had a reasonable chance of seeing several other qualified groups line up to bid on the decommissioning, the state would have a strong BATNA. NorthStar would be just one choice out of many. But the state doesn't have such a BATNA. There are few companies qualified to do a major decommissioning, and I don't see any of them lining up to work in Vermont. They are mostly busy, and mostly working in other states that don't have the same anti-nuclear (and anti-business) bias. The state has a weak BATNA. As a matter of fact, I can't really define it beyond "learn to love SAFSTOR." No matter how thoughtfully and delicately NorthStar mentions its strong BATNA, the state is going to feel "held hostage." The iron laws of negotiation are holding the state hostage. I'm sure it is not comfortable. If you noticed, my discussion of the negotiations had the assumption that both the state and NorthStar would want a speedy and effective decommissioning at Vermont Yankee. I am not going to mince words here. There's a set of third parties in this negotiation--the anti-nuclear groups. They have their own agenda. Unfortunately, my experience is that the State of Vermont bows to any pressure exerted by an anti-nuclear group. "...the question (is) of how best to protect the residents, the land and the water long into the future from the harbingers of birth defects, cancer and genetic illness. New England Coalition is advocating for intensified environmental stewardship of the site and to let the land lie fallow after the cleanup in order to achieve that goal...."
In other articles, nuclear opponents have suggested that the land lie fallow for 200 years, to "heal" from having the Vermont Yankee plant in place. This "healing" is not measurable: the opponents don't define a criteria for "healed-land". So the nuclear opponents actually have their own agenda, and their own BATNA. Their BATNA is to encourage WATTA. Worst Alternative To Technical Accuracy. 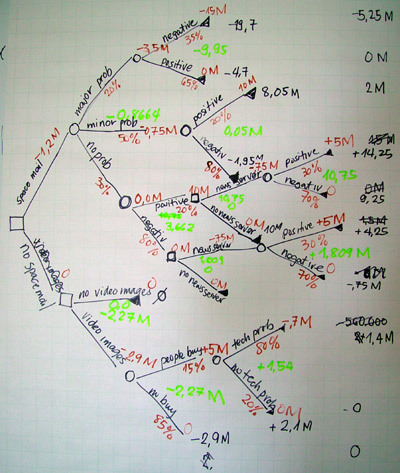 For the opponents, the plant spending decades in SAFSTOR is no big deal. They see SAFSTOR as just the beginning of a several-century process of "healing." The state doesn't have a good BATNA to begin with. If Vermont bows to the nuclear opponents and their agenda, Vermont may well end up with the plant in SAFSTOR followed by WATTA. 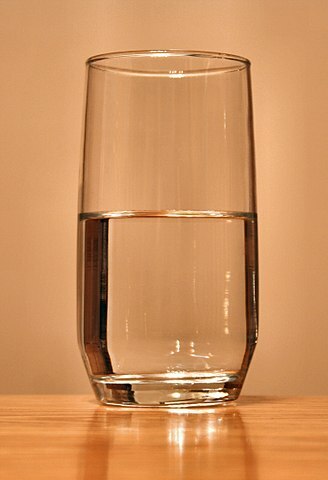 I am a natural optimist. I think hard-working people can make situations work out to a be a win-win, or at least, not a lose-lose. So I hope Vermont will not end up with WATTA, but rather, Vermont will work out an acceptable agreement with NorthStar. I hope that Vermont Yankee will be effectively and rapidly decommissioned. Unfortunately, in Vermont, it is easy for an optimist to get disappointed. Pat and Ben asked great questions, ranging from the state of the cleanup at Vermont Yankee to questions about my book and "advocacy for the shy." There were some "noises off" during part of the show, but it is worth hanging in there, due to the excellent questions. We started the show with a video of Eric Meyer of Generation Atomic singing the Thorium Aria. Rewritten operatic arias are not what people expect to hear on a show like this! Later in the show, I describe several nuclear advocacy groups, including Generation Atomic. Iida Ruishalme writes the very thoughtful blog, Thoughscapism. In today's blog post, she describes some scary adventures in Bonn outside the COP23 climate meeting. Wild Wild Bonn: Anti-nuke protesters get up close and personal, try to get me seized by the police. Anti-nuclear hooligans (sorry but that is how they were acting) attempted to grab her camera while she was filming Eric Meyer singing Thorium Aria, the same aria that starts the Vote802 video above. Meyer was singing to a group of anti-nuclear people who had just finished their own singing. Watch the video (above) and read Ruishalme's blog. Videos and drama--two pro-nuclear ways to enjoy the weekend. Nuclear opponents continue to attempt to put roadblocks into the Vermont Yankee decommissioning process. They claim that they want a quick, safe process for decomm, but several of them also claim that the land should "heal" for about two hundred years before anything is built there. Basically, a quick safe process is the very last thing opponents would want, as far as I can tell. A successful process would show that nuclear decomm is no big deal, and perhaps nuclear opponents should turn their attention to coal ash ponds. Right now, rubblization is a major issue. Here's my letter about it. I am well-known as an advocate for nuclear energy. I lost most of my interest in the Vermont Yankee plant after it closed down, and I devoted myself to writing a book about pro-nuclear advocacy. However, in the past six months, I began looking at the issues surrounding the proposed sale of Vermont Yankee to NorthStar. 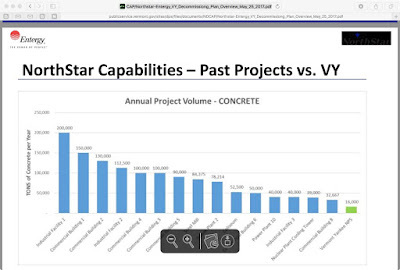 Since NorthStar's announcement about the proposal to purchase Vermont Yankee, I have attended several public meetings and community briefings, and heard NorthStar CEO Scott State speak. In these meetings, Mr. State has answered the hard questions about about NorthStar's plan to decommission Vermont Yankee in a safe, well managed process over relatively short time frame. State has responded to questions with candor and transparency. For example, I hadn't really understood that the nuclear opponent slogan of "no rubblization" would lead to huge amounts of truck traffic taking rubble away from the site. (Yes, I should have realized this myself.) Mr. State noted that, without rubblization, heavily-loaded construction trucks would constantly pass the elementary school. This would be a safety hazard for parents and children. Nuclear opponents have effectively framed the discussion to their own personal definitions of safety: their definitions ignore traffic safety and children's safety. Similarly, nuclear opponents are now speaking of letting the site "heal." In other words, they want to remove the Vermont Yankee site from possible use as a commercial site (with jobs) until such time as it meets their non-measurable criteria for "healing." I'm hopeful the Public Utilities Commission recognizes the tangible safety, economic and environmental benefits of NorthStar's proposal. This letter has appeared (sometimes with edits) in various newspapers in Vermont and New Hampshire, for example, The Brattleboro Reformer, the Burlington Free Press, the Rutland Herald, and the Caledonian Record. It has appeared in other newspapers also, but I don't have the links. Howard Shaffer's letter to the Brattleboro Reformer. Without rubblization, there would be over 4000 truckloads of rubble removed from the site. Specious Objections to the NorthStar Proposal. Patty O'Donnell in the Keene Sentinel. Why Wait 60 Years for Economic Benefits? Bob Leach in the Times Argus on why Residential Standards are not the appropriate standard for cleanup. Wikipedia on Rubblization, which is not a new concept. Sometimes, various facets of my life come together in unexpected ways. For example, the movie The New Fire brought two threads of my life together. The New Fire follows four young nuclear engineers who have started companies and are designing new types of reactors. However, some of the movie is about why we need these new reactors: avoiding climate change while lifting people out of energy poverty. Our son-in-law, Vijay Modi, is a professor of mechanical engineering at Columbia University. He is also leader of the Sustainable Engineering Lab at Columbia. So, I'm watching the movie about nuclear, and there's Vijay, in the movie, describing the need for energy in developing areas. Okay, I admit it. I knew Vijay would would be in the movie. I wasn't surprised. But it was still fun to be watching a pro-nuclear movie that included a member of my own family. I strongly recommend the movie, but not just because Vijay is in it. Jacob DeWitte and Caroline Cochran have founded Oklo Inc. Located in the San Francisco Bay Area, Oklo keeps a relatively low profile, and emphasizes the use of small nuclear reactors in remote locations and developing countries. Update: This is a solid fuel reactor. An earlier version of my post described it as a molten salt reactor. Leslie Dewan and Mark Massie founded Transatomic Power. Located in Cambridge Massachusetts, the company is proceeding with reactor design, materials testing and simulation. The film follows these two companies through crucial years of development: you will be rooting for these smart, dedicated and idealistic young people. Speaking of smart, dedicated and idealistic young people, Eric Meyer of Generation Atomic is also in the film. He adds nuclear advocacy and opera singing to uplifting mix of New Nuclear people. On November 12, in New York City, David Schumacher, Caroline Cochran, and Jacob DeWitte are expected to attend the showing. Here's a link to the ticket purchase page for that showing. Generation Atomic is running a Generosity Campaign to provide funds for their upcoming trip to COP23 in Bonn. 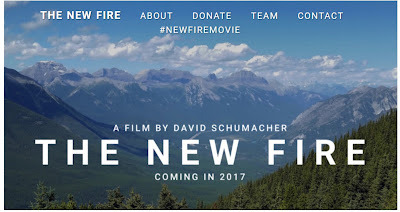 If you have significant money (over $1500) to contribute to this campaign, you will be rewarded with a private screening of The New Fire. Yes, this is Above and Beyond. But think about it. Perhaps some of the people reading this blog can afford this type of contribution. A private screening would be a lot of fun for your money, as well as helping a good cause. Of course, you can contribute smaller amounts to the Generosity Campaign, and receive t-shirts, audio books and so forth. It's not all-or-nothing. Send some money! And find a place where The New Fire is being shown, and watch it! 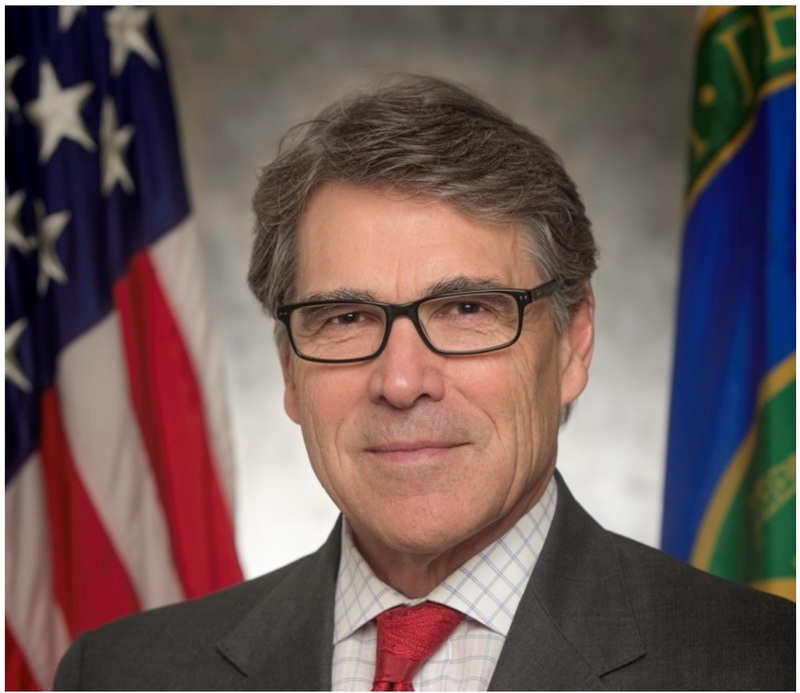 In April, Secretary of Energy Rick Perry announced that he was requesting a study about whether today's electricity markets are doing an adequate job in terms of providing grid reliability, reliance and stability. Under most circumstances, an announcement of such a proposed study would cause everyone to fall asleep. Nowadays, though, this proposed study was considered revolutionary and perhaps obscene. The general weltanschuang (German used quite deliberately) of studies under the last administration did not encourage looking at questions of mere grid reliability. The only allowable questions seemed to be: "How can we get more renewables (and gas backup) on the grid?" When Secretary Perry asked for a reliability study, he set the natural gas industry into a state of shock. They had a pretty good idea of what such a study would show. They didn't like it one bit. If you think people were upset that this study was performed at all, you can imagine the anger when it showed the value of base-load plants. The DOE study showed a need to increase grid reliability by supporting base-load plants that can store fuel on site. Yes, that means coal and nuclear. After a FERC study is completed, if it shows a need for a change in the electricity markets, the next step is FERC making a rule for the change. FERC starts this process by issuing a Notice of Proposed Rulemaking, (NOPR). FERC recently issued an NOPR for the Grid Resiliency Pricing Rule, based on the DOE study. The bulk of the rule is on page 11: (FERC shall)...issue a final rule requiring its organized markets to develop and implement market rules that accurately price generation resources necessary to maintain the reliability and resiliency of our Nation's bulk power system. The proposed rule allows for recovery of costs of fuel-secure generation units frequently relied upon to make our grid reliable and resilient. Update: The easiest way to comment on this rulemaking is to use the Nuclear Matters link Urge Policymakers to Protect Nuclear Energy. You fill out your contact information and click :Submit. There is a pre-written comment on the form, but you can edit it as you wish. Click the link and submit your comment today or tomorrow! Time is short. October 23 is the last day for comments. There are so many things to say about this rule-making! And so many things have been said! You would think this is the first NOPR that FERC had ever issued. It isn't. Here's a brief run through the proposal and the attacks on the proposed rule. 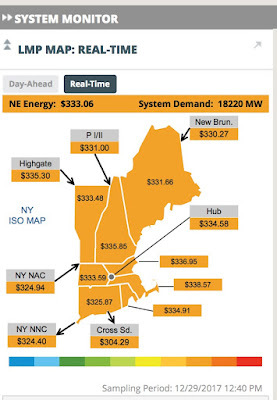 I recommend Rod Adams excellent blog post of August 24, Long awaited DOE report on electricity markets and reliability. The post includes links to the study itself. Is this rule-making legal? Is it rushed? Yes it is legal. Once again, Rod Adams has a good overview: Rick Perry Directs FERC to Complete Final Action on Resiliency Pricing Rule in 60 Days. In Utility Dive's article Powelson: FERC 'will not destroy the marketplace' in cost recovery rulemaking, Acting FERC Commissioner Neil Chatterjee explains that the new rule will have a record, docket, and analysis. Just like the rest of the rules. In the same article, Scott Hempling, a Georgetown law professor, said there is no statutory obligation for any particular period of time for comments. My own understanding is that 60 day and 90 day comment periods are pretty standard. Isn't this "rule" kind of vague? Yes. It is slightly more vague than usual. According one of the articles in Utility Dive, energy lawyers say that the vagueness of the rule may give more room for industry input on the final product. But frankly, it is not out of line with other FERC rule-making. For example, in FERC 1000, one of the most complex and contentious parts of the rule is stated pretty simply: Local and regional transmission planning processes must consider transmission needs driven by public policy requirements established by state or federal laws or regulations. FERC rarely tells system operators exactly what to do: FERC directs them to "consider this" or "allow for that" etc. Kind of vague, but then again, they are the system operators and they have their own constraints. Former FERC Chairman Jon Wellinghoff said that a proposed rule supporting baseload plants "would blow the market up." At FERC, according to Wikipedia, Wellinghoff's three priorities were integration of renewables, energy efficiency, and demand-side energy practices, such as real-time pricing. Wellinghoff didn't mention reliability in his priorities as FERC chairman. I also don't notice that anybody blamed him for supporting the expansion of renewable energy. When some people claim that FERC must be "fuel neutral," they apparently don't mean "treat renewable installations like other power plants." FERC doesn't like rules that say: Gas plants shall or coal plants shall. For a FERC rule, don't actually name the type of plant. The new proposed rule doesn't name types of plants. Any plant that can store 90 days worth of fuel qualifies for recovery of costs of fuel-secure generation units. FERC and grid operators have many rules for how plants get paid: there's the whole business of ancillary services. Grid operators pay for ancillary services (reactive power, quick dispatch) even though only certain types of plants can provide these services. If FERC determines that "fuel security" is important for grid reliability, it can make sure that plants that are able to supply the fuel-security service are paid for that service. This is not revolutionary. And the final question: Is this going to "blow up the markets"? There is no market to blow up. On Friday, Utility Dive quoted Rick Perry saying: There is no free market in electricity. I have been saying this for a while. I recommend an article by Travis Kavulla, of the Montana Public Service Commission. His article in American Affairs is titled: There Is No Free Market for Electricity: Can There Ever Be? It's a good summary of how nobody can "blow up the market" because there really isn't a market. Finally, the government is paying attention to the reliability of the electric grid! Update! 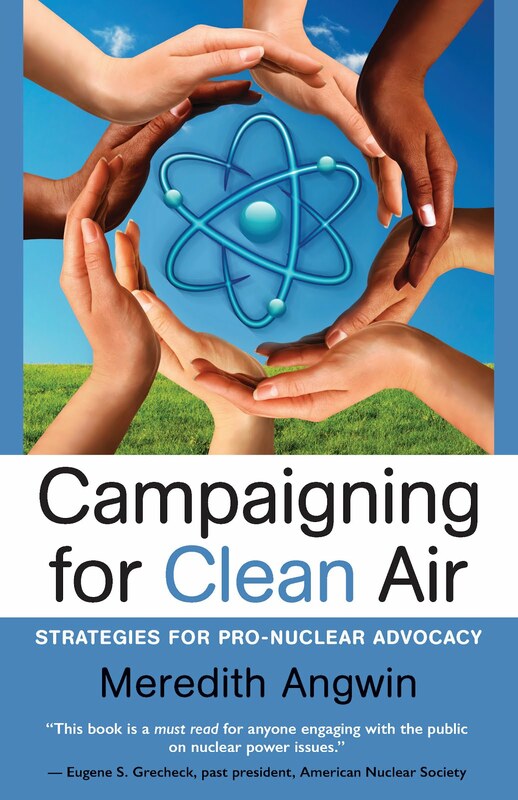 ANS Members discount for "Campaigning for Clean Air"
Update: Everyone can buy Campaigning from the American Nuclear Society! I am so embarrassed and sorry. 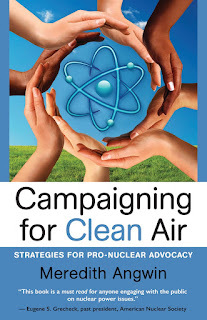 I was not aware that everyone can buy Campaigning for Clean Air from the American Nuclear Society! However, only ANS members can get the discount. Whether or not you are an ANS member, please consider buying my book from the American Nuclear Society. If you are not a ANS member, you will pay full price. But you will support the society by buying it through them. I am so sorry for the mistake I made in the earlier version of this post. Here's the link to the actual page on which you would order the book. Note that you can order either the paperback or ebook version through the ANS. Both are sold with a 10% discount for ANS members. I am very pleased and honored that ANS has chosen to distribute my book. If you wander around the ANS catalog, perhaps starting with the browse special publications page, you will see that most of the publications in the ANS catalog were published by ANS. It is a real honor for a non-ANS published book to be included in the catalog. A heartfelt "thank you" to ANS! I encourage people to buy Campaigning from the ANS. However, you can also buy it on Amazon or Nook or Kobo. You can also order it through many bookstores. Bookstores usually get the book from Ingram Spark distributors. Most books to date have been bought from these other sources. ANS provides a new way to buy the book. I am delighted that the book is available through ANS. "In a time where nuclear power is facing strong economic challenges and more plants are trying to stay viable, Meredith’s book is a playbook that can help communities around nuclear plants reach out to tout the benefits of keeping the plants operating." JTwarog on the Nook version. 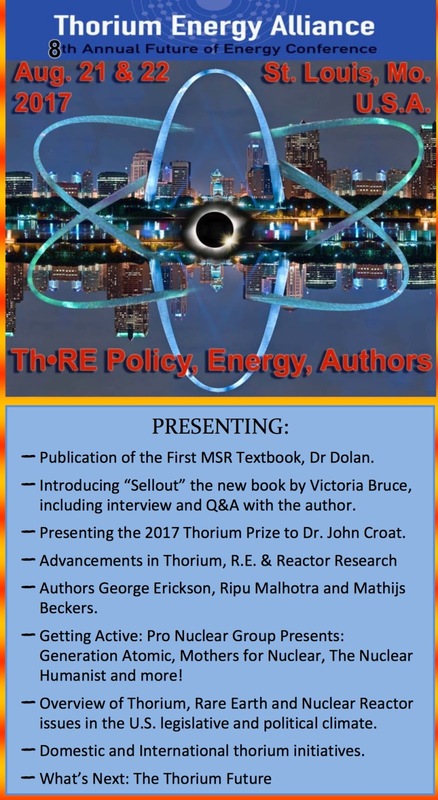 I hope you buy my book, from the American Nuclear Society or another source. Most importantly, I hope you act on the ideas and hints in the book! Nuclear energy needs advocates, and it needs them now. Note: this is a screen shot. The links in the graphic don't work. Update: Many people were frustrated because the links in the graphic above do not work. I had working links available, but they were at the bottom of the post. I am moving them to the top of the post in this update. Here are links that work. Note: if you have trouble registering, I suggest you email Weezie Nuara. Please register in advance because ISO-NE provides a lunch, and they need a headcount. Now, back to writing about the meeting itself! I hope you can attend. The meeting is free, and includes a lunch. The CLG is the "consumer's voice" for ISO-NE, and this will be a very special meeting. Governor Scott will speak. He almost certainly will not speak about nuclear power, but I will never forget that he was one of four Vermont senators who voted in favor of continued operation of Vermont Yankee. You can see a short video of his statement at the time of the vote: it's on my blog post Hello Governor Scott, and Goodbye Shumlin. The main part of this meeting will be a discussion of FERC Order 1000. 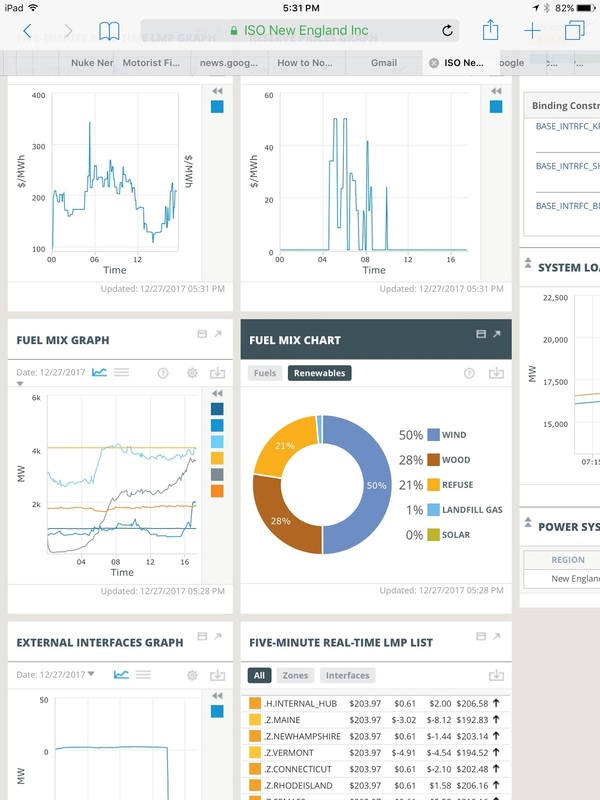 This order could lead to huge and expensive changes on the grid, and almost nobody knows about it. The basic idea of FERC 1000 is that grid operator (ISO-NE, for example) can order states to pay for transmission lines that are needed for "policy" not just "reliability." In the past, if a grid operator showed that a new transmission line was needed for grid reliability, the grid operator could spread the payments for that line throughout the states in the grid region. So the line might be only located in one state, but if it was needed for reliability, all the New England states would bear the cost. The grid operator used clear engineering criteria for "the line is needed for reliability." With FERC 1000, if a transmission line is needed for "policy," the grid operator can also force the states to share the cost of the transmission line. Say that a state has a policy of bringing in wind power from a neighboring state. That state can now commandeer all the states in the grid to pay for the new line. The line is state "policy," after all. Actually, the grid operator would do the commandeering, but the idea is the same. 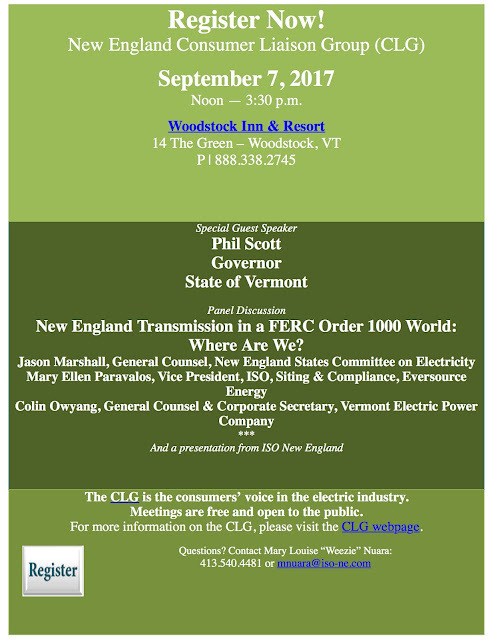 In Vermont on September 7, many knowledgeable people will be discussing FERC 1000 in public. This is a rare and important event. I have more about FERC 1000 in this blog post from earlier this year. That post is somewhat out of date, since New England States Committee on Electricity (NESCOE) recently lost their FERC 1000 lawsuit against FERC. A representative from NESCOE will speak at the upcoming meeting. 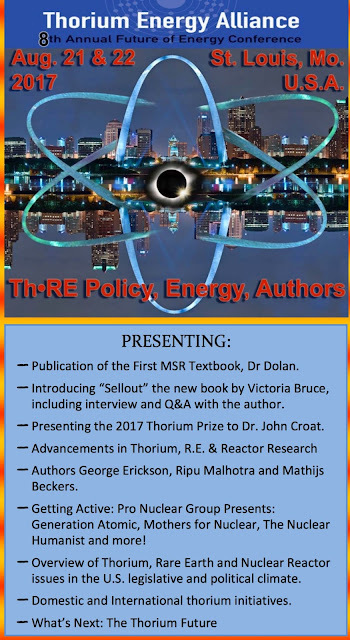 The Thorium Energy Alliance will take place in St. Louis starting this weekend. I signed up to attend long ago, but people are still joining right now. Here's the link to the website. I encourage you to attend if you can! Much of the conference will be about molten salt reactors, of course. But there will be much more! More than two hours of how-to-do-advocacy workshops, led by leading advocates such as Eric Meyer of Generation Atomic and Heather Matteson of Mothers for Nuclear. (I will be a co-leader in one of the sessions.) There will be great talks by many authors. One of the featured talks is by Victoria Bruce, and people who register for the meeting will get her latest book, free with their registration. Sellout: How Washington Gave Away America's Technological Soul, and One Man's Fight to Bring it Home. Mathijs Becker will be a speaker. He will be here from the Netherlands. He is the author of one of the few books debunking Jacobson's "100% renewables" claims (The Non-Solutions Project) as well as posting an excellent youtube channel, the Nuclear Humanist. It will be a great conference. But why should you come? A Conference that is truly for the "Rest of Us"
I have been to many pro-nuclear conferences, and I love them all. Most of the conferences are sponsored by an industry group. Sometimes, these conferences don't feel very welcoming to people who are not in the industry. This conference feels very different. Some of the speakers are from industry (EPRI advanced reactor group), and some are from industry start-ups (ThorCon, Elysium, Terrestrial and others). However, many speakers and attendees are "just" nuclear advocates. They are people who have never worked in the nuclear industry, but have a presence in the world of advocacy, ideas and books engaged with new versions of nuclear power. The "just advocates" are the most important people at the conference, in my opinion. They are the group that can reach out to other groups, and to their neighbors. This is a very welcoming conference. I encourage you to attend. Note: if you are defending an existing nuclear plant, you will be right at home. You don't have to be a molten salt maven to get a lot out of this conference. 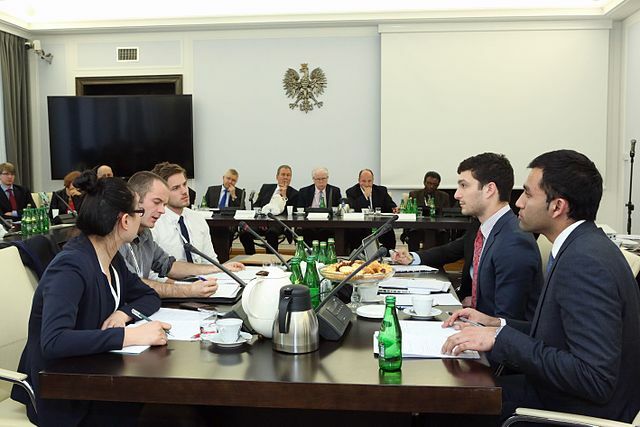 For example, I could annotate the list of speakers, giving examples of the important and brave things various speakers have done in defense of our current fleet of reactors. Look at the bottom of the conference page for the list of speakers. Another note: The conference will include a break for Eclipse Viewing. How many conferences are planned around something like that? SCEG withdrew its original petition to abandon the Summer Project, but this was only to facilitate government review of the petition. After withdrawing the petition, SCANA held a press conference and re-iterated its plans to abandonn the nuclear project. Meanwhile, knowledgeable people have emailed me that the construction workers at Summer are probably not covered by WARN, but employees of Westinghouse and Fluor probably are covered. I am not a lawyer, and I am merely repeating what they said. It is probably true, however. None of this is good news for the project or the workers. At the V.C. Summer construction site in South Carolina, a stop-work order was issued by the plant owners. Within hours, thousands of people had to turn in their badges and leave. There is simply no way to sugar-coat this story. Actually, there are at least two stories here: the first story is about why V.C. Summer was cancelled. That story has been widely discussed. The second story is about how the layoffs happened, and their legality (or not). This story has not been covered very much. It will be covered here. At the end of this post, I have an annotated list of resources about the first topic, why Summer was cancelled. On Facebook, one friend wrote about how difficult the Summer closure was for his family. I will not quote his statements here, but his post made me feel very sad for all the hard-working people at Summer. I mean I was feeling bad already, but his post made me feel worse. The cancellation of Summer had a huge human cost. You can't lay off 5600 people without immense pain, and immense ripples in the community. It is too mild to say that the layoffs themselves were not handled well. In my opinion, the way the layoffs were handled was certainly immoral, and may have been illegal. In this article, Fired nuclear construction workers crash State House, workers said they had "no warning from superiors before being let go about lunchtime Monday." In a video at WLTX, workers said "We met at our lunch location and they read these letters to us...."
It's impossible to get numbers, but most sources say 5000 people were affected by the equivalent of letters-read-at-the-lunch break. In the video above, a worker says that he has never heard of so many people being laid off at one time. On Facebook, I said that I thought the short warning of this layoff was probably illegal. One person commented that I was making unwarranted assumptions. In his opinion, a big employer would read the laws and obey them. Okay. Basically, he was right about the biggest of the big boys on the job site: SCEG. According to this video and article from WISTV, SCEG notified the state of 615 layoffs at Summer (layoffs of their own employees), giving the requisite 60 days notice according to the WARN requirements. However, they gave Westinghouse no such 60 days notice, because Westinghouse is a contractor, not an employee. Westinghouse immediately "furloughed" 870 employees, according to the Pittsburgh Post-Gazette. However, these employees have no reason to believe that they will be called back from this "furlough." According to Post-Gazette article, a field engineering manager at Westinghouse has sued Westinghouse for violating WARN. He is attempting to achieve class-action status with his lawsuit. SCEG covered its own employees, but employees of large and small subcontractors seem to be subject to the largest sudden layoff that I have ever heard about. 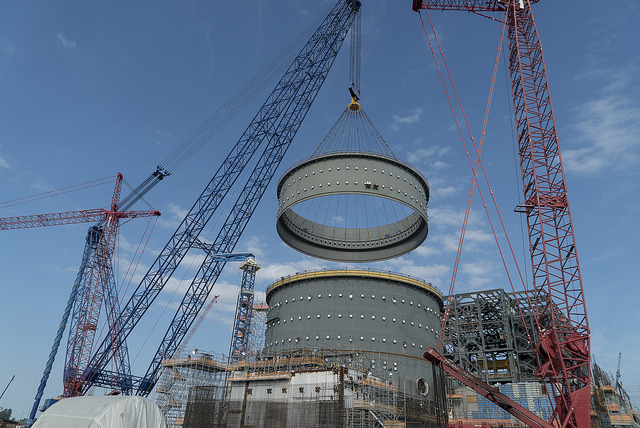 Westinghouse, with hundreds of employees on this project, is one of the big boys. Nevertheless, it seems to have issued as quick a lay-off notice as might have been issued by any local supplier of portapotties. Westinghouse is now being sued. I suspect that many of the other contractors may also be sued. Opening Gambit or Closing the Door? Why did the layoff happen in this sudden way? It saved some money for SCEG, until they get sued, of course. It devastated towns and businesses and gave locals a pretty grim idea of what their utilities think about their welfare. Looking at a project that is over budget by billions of dollars, I don't think saving two months worth of salaries was the entire motivation. Decades of bad feelings are likely to arise from the sudden layoffs, and two months payroll was saved? To me, it doesn't make sense. That is just my opinion, of course, but there it is. Sometimes, dramatic events are the opening moves in fierce negotiations. "Now that I have your attention...."
Sometimes, of course, dramatic statements are the closing moves: "Look, I mean it, and nothing you can do will change my mind." However, that sort of statement often comes after a long fruitless negotiation. Not always, but usually. If this were a chess game, I would say: This is more likely to be an opening gambit than a closing statement. But wait, V.C. Summer is not a chess game! In a chess game, the pawns are little pieces of plastic or wood or ivory. At V.C. 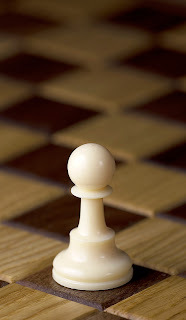 Summer, the pawns are more than 5000 real live people. Addendum: Why V.C. Summer was cancelled. I recommend three excellent blog posts on the reasons for the project cancellation. This post describes the cascading effects of various types of cost overruns, including changes to the specifications, delays, and incomplete planning. On July 31, 2017, Dan Yurman at Neutron Bytes wrote Utilities Pull the Plug on AP1000s at V.C. Summer. He looks at the cost overruns, but also notes that Santee Cooper refused to go along with a plan to complete just one of the reactors. On August 1, 2017, Rod Adams wrote: Tragic day in South Carolina as 5,000 people lost their jobs at VC Summer. Rod's post concentrates on design changes, specifically the Aircraft Impact Assessment Change. There are 120 comments on that post. Many of these comments are from very knowledgeable people. 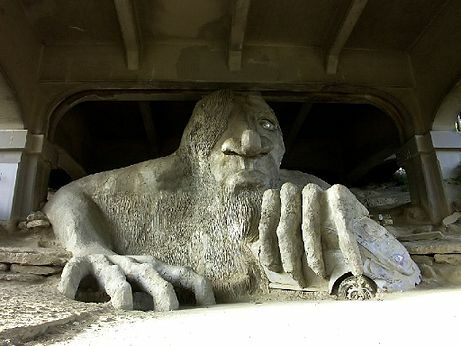 The Fremont Troll lives under a bridge in Seattle. He has captured a Volkswagen. At my nuclear advocacy blog, my recent post Defeating the Trolls has developed an interesting and informative comment stream. People are sharing their anti-troll strategies. I urge you to visit the post and join the conversation! A major strategy for neutralizing trolls is to shift the conversation from a discussion of their claims to a discussion of their behavior. Read more about dealing with trolls at the post, and also in the blogging and Facebook chapters of my book, Campaigning for Clean Air. True trolls are difficult to deal with, which is why I am happy to see such a good discussion on my blog post. I hope you will go the Defeating the Trolls post at my advocacy blog, and join the conversation on anti-troll strategies. As I often say, we are not alone in our pro-nuclear advocacy. We can help each other. We can share strategies. Let's do it! We all know the quote from Benjamin Franklin. At the signing of the Declaration of Independence he said, "We must all hang together or, most assuredly, we will all hang separately." That's the short version, isn't it? We must all hang together, so we do all hang together, and then we win. In my advocacy blog post today, Was Hamilton Pro-Nuclear? A Post for Independence Day, I look at the more complex version. 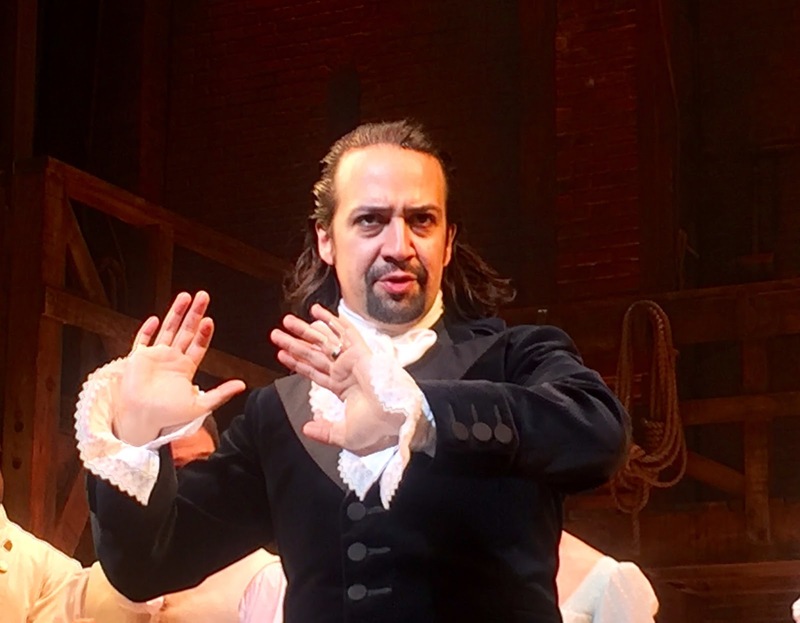 The musical Hamilton tells the tale of the American Revolution. The founding fathers were not all that agreeable with each other: The musical ends after Burr shoots Hamilton. That is truly being disagreeable! Hanging together is hard work. In my essay, I note that astro-turf has a carefully crafted message, but real movements are complicated. The Revolution was complicated. Similarly, the current pro-nuclear movement has factions, disagreements on methods, and even disagreements on goals. Just as the situations described in Hamilton. I am proud to be part of the widespread, messy, pro-nuclear movement. It has factions. It is real. As Hamilton says, people do not know how we will be remembered. In particular, we don’t know how the pro-nuclear advocates of this generation will be remembered. But I hope we will be remembered in clean skies and moderate climates and non-acidic seas. Hail to the pro-nuclear advocates of this generation!